We all know very well that without Google the whole internet is incomplete. Yes, the well-known and most used search engine, Google is present on a daily basis in our life and at the same time, it is for many the medium of the Internet. But, now according to the latest reports, recently, a severe bug has been discovered that simply allow to manipulate Google search results. If we talk about the internet then we all know very well that without Google it is totally incomplete. Yes, the well-known and most used search engine, Google is present on a daily basis in our life and at the same time, it is for many the medium of the Internet. Hence, the trust that we have in its results is blind and the information presented is always considered reliable. 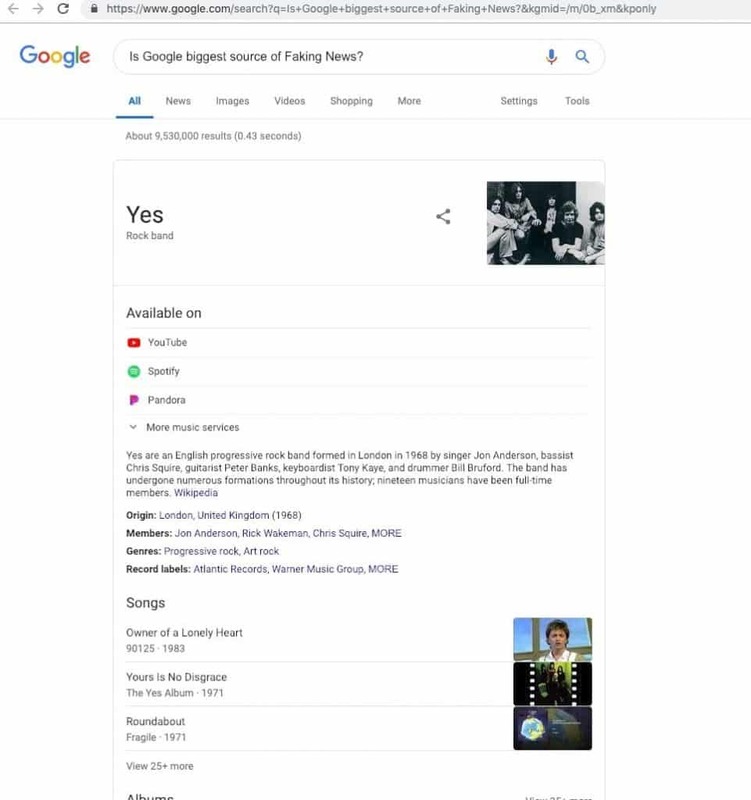 But the truth is that it’s simple to change the result of the searches done on Google. Most users rely on the information that the tech giant Google displays on its search results page. Often, in addition to the many links presented, there is additional information that answers the questions that are asked. But, now according to the latest reports, this information can easily be changed and users can be fooled by the fake results. The worst thing is that everything can be done with a simple link and all the changes go unnoticed. However, who discovered this flaw was the security researcher Wietze Beukema, who showed it in great detail and revealed how it can be exploited. By raising the link you can display Knowledge Graph information associated with an unrelated search. 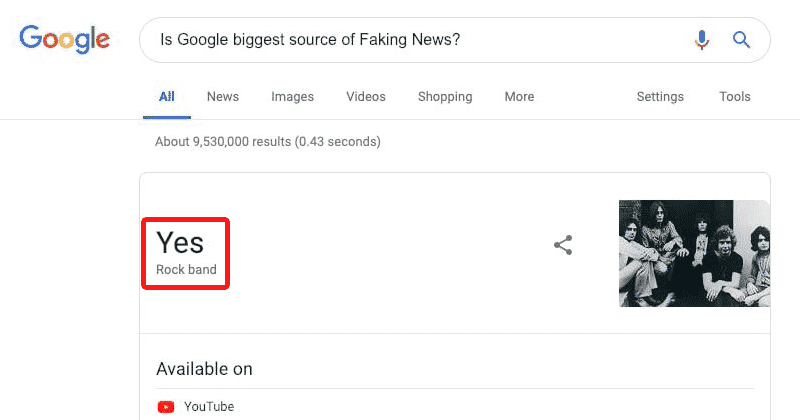 What happens is that you can simply link a ‘link’ from a Knowledge Graph result and a search, showing the wrong answer to any foul question to Google. Evan this security researcher has also given several examples of how this is possible. But, now the fact is that the tech giant Google has already admitted this and already working to fix this issue and prevent this from happening. However, you must stay careful about the origin of the links you receive, or the information that is provided to you. Yes, it is natural that you can not change the tech giant Google’s search results, but it’s quite easy to give users the wrong results. So, what do you think about this? Simply share all your views and thoughts in the comment section below.